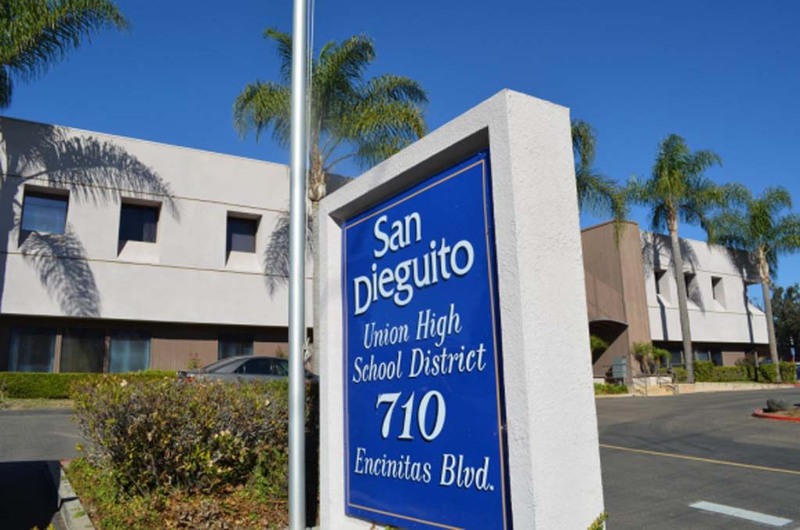 ENCINITAS — Thousands of homeowners in the San Dieguito Union High School (SDUHSD) were overcharged on their property tax bills last fall. The cost to send out accurate bills and issue refunds: $183,400. Acknowledging its role in the error, the county Treasurer-Tax Collector office recently agreed to pay $103,400 of that amount. The district, which also admitted fault, contributed the remaining $80,000. The county miscalculated the tax rate for Proposition AA, the $449 million bond for building and technology upgrades in the district. At its May 1 meeting, the SDUHSD board of trustees voted 4-1 to approve its portion of the cost. On May 5, board President Joyce Dalessandro said the board recognized it should pay the roughly $80,000 that was spent on postage, printing and associated mailing costs. Once the error came to light, she noted, the district insisted on sending out correct bills with an explanation to reach those who had yet to pay their property taxes. An alternative course of action that was considered: issue refunds after residents paid their taxes. But that likely would have created additional confusion, she said. “We wanted to fix this as soon as possible,” Dalessandro said. Documents show the county spent most of the $103,400 on computer software, programming changes and additional staff to process refunds and mail corrected bills in just two weeks. Mailing that many bills normally takes at least two months. Michael Workman, a spokesman with the county, said in an email that the $103,400 came from the county’s general fund. He did not return a request to comment on the county’s part of the cost. For Prop AA, the county should have collected $23 per $100,000 of assessed home value. Yet property tax bills reflected a fee of $38 per $100,000. Most property bills were about $100 higher than they should have been. Eric Dill, the district’s associate superintendent of business services, said the miscalculation stems from the bond premium being shuffled to the wrong place. Specifically, the initial $160 million bond sale generated a $7 million premium. The county should have sent the premium to a special account so the money could pay down the bond principal. However, those funds were sent to a SDUHSD account. But the district also erred by failing to return the premium, Dill added. Because the $7 million wasn’t in the right account, the county Treasurer-Tax Collector office charged taxpayers for the missing premium. Dill added SDUHSD didn’t spend any of the $7 million; that money was just accounted for incorrectly. Del Mar Times reporter Marsha Sutton broke the story of the incorrect tax bills last fall. In the aftermath, correct tax bills were sent to about 74,700 property owners. By that time, about 17,000 had already paid their bill. They’ve since been reimbursed, according to Dill. The $80,000 was drawn from a district insurance fund, not the general fund or Prop AA, Dill said. Trustee John Salazar, who cast the lone vote against approving those funds, said on May 2 the county was ultimately responsible for checking the information and mailing the bills. Thus, it alone should bear the responsibility. “They’re the experts, and they’re the ones who should get it right,” Salazar said. Also, he said the public was kept in the dark about the mailing costs. When the miscalculation first surfaced, school administrators should have sought more input from the board and residents on options and corresponding expenses for fixing the error. “That happened behind closed doors, and the board and public weren’t involved,” Salazar said. Relatedly, Doug Perkins, who serves on the Del Mar Union School District Board of Trustees and is a candidate for the San Diego County Board of Education district 5 seat, criticized the district for burying the $80,000 on its May 1 agenda. The expense is listed with other purchase orders on page 44 of the May 1 agenda packet. Like other purchase orders, there’s only a short description of what the $80,000 is for: services and operating expenses. Purchase orders are listed on the agenda’s consent calendar, which is reserved for routine items that the board doesn’t need to discuss. Given that the error affected so many people, Perkins said in an interview on May 2 the district should have broken down the $80,000 expense in a separate agenda item. Because it wasn’t fully disclosed on the agenda, the public wasn’t notified and didn’t have the chance to speak to the matter at the meeting, he added. “Homeowners expect transparency with their tax dollars,” Perkins said. Dill said action items on the agenda are for contracts, but invoices like the $80,000 fall under purchase orders. He added that district Superintendent Rick Schmitt contacted each board member prior to the May 1 meeting and walked them through how district administrators arrived at $80,000 as the district’s share. Ultimately, the board agreed to pull the $80,000 from the consent calendar and consider it separately from the other invoices, he added. 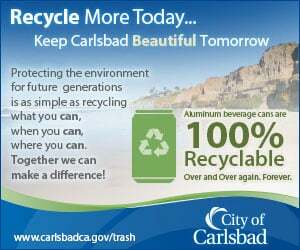 SDUHSD serves about 12,500 students in Encinitas, Solana Beach, Del Mar Carmel Valley and Rancho Santa Fe.